In the meantime - here is a really great giveaway and a short review. 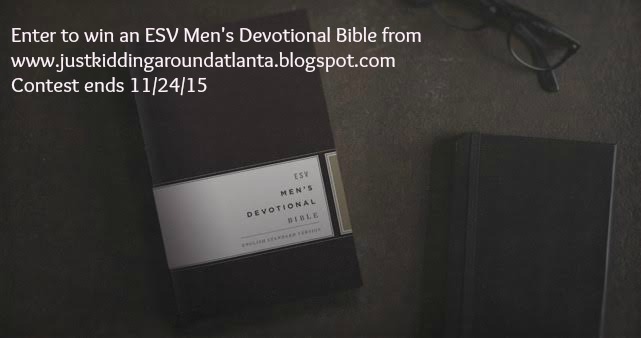 Wouldn't this Men's Bible make a fabulous gift for someone on your Christmas list? 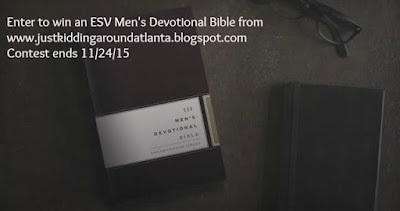 I was given a copy of this beautiful ESV Men's Devotional Bible to share with one of the men in my life. It didnt take me any time to know that I wanted my brother Jon to have it! He has only had this Bible for about a week, so he hasn't had much time to use it. Here's what he had to say about using this Bible and what he likes most about it. I really like this Bible. 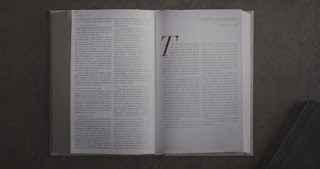 I like the font and the size, as it makes it easier to read than the Bibles at church. 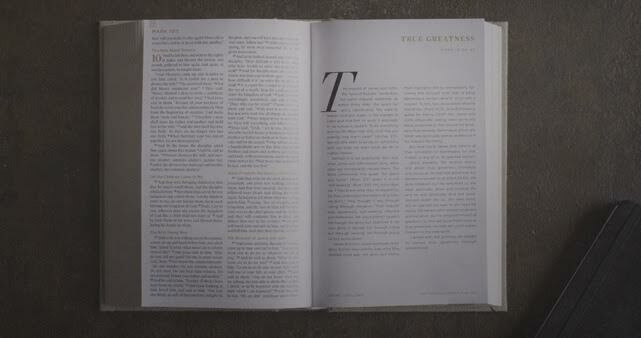 I also like the fact that the devotions put into context what you are reading and give a detailed account of the author of each devotion. I like how it breaks up the flow of scripture. It is very thick and heavier than most, but that is OK because of the extra info that is inside. I haven't had a chance to read very much of it but I look forward to being able to use it more. 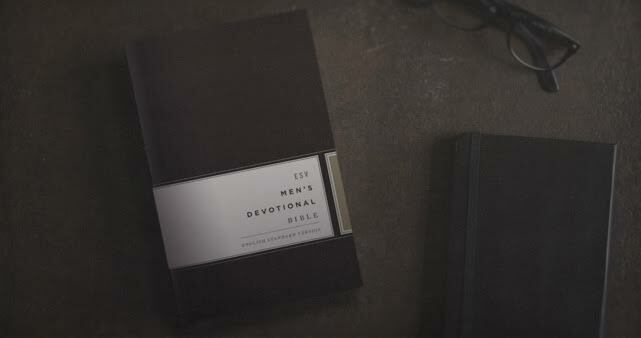 I'm so happy he is enjoying this new Bible. Thanks Jon, for reviewing it for me. Propeller/FlyBy Promotions would like to give one of my readers a copy of this awesome Bible. Enter for your chance to win via the Rafflecopter widget below. If you don't see it, click the link and it will open up the entire post for you. PLEASE make sure to complete both of the mandatory entries. I hate it when Rafflecopter chooses a winner, but they didn't complete the mandatory options and are disqualified! So please make sure you do those first, then any of the optional entries you want to do, too. My stepdad would love this! I would give this to him for Christmas. My husband would get this, he really needs a new one, his old one is over 20 years old! This is for my son! I want him to step up his faith. I would give this to my son. I think he would love it.